Budgie Bird for Sale - 7 Things to Remember Before Buying! 2. Keeping parakeets as pets is common, but before buying one of these birds make sure it is in excellent health. Just like other pets parakeets can get ill or become stressed, affecting their health. Avoid purchasing any bird that simply sits on the cage bottom, which has a discharge from the eyes, nose, or mouth, or that has feathers which stay fluffed up. 3. 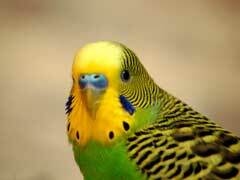 A budgie bird is a social pet, and this means that it is better to have more than one in a cage. You will need to spend time each day interacting with your birds, a minimum of half an hour each day is recommended. Buying two or three birds will ensure that while you are not available your birds get the social interaction they need to stay healthy. 4. Not all cockatiel breeders follow the same standards or provide the same care. Choosing a breeder who offers birds for less can be a mistake at times, because you could end up with a bird that has health problems or poor genetics. Only choose quality breeders who have a reputation for quality birds, even if this means paying a little more. 5. A cuttlebone, toys, a cage, dishes, and a nutritious bird seed mixture is needed before you purchase any budgie bird. You can purchase these items at the same time or you can buy them and get everything set up before you buy the bird and bring it home, which is usually the best option. 6. It is possible to use smaller parrot cages for sale to house your new parakeet, as long as the bars are spaced close enough to prevent the bird from getting out. If you plan on keeping a number of these birds in a single cage then one intended to hold a parrot will provide extra room. 7. Before you buy a budgie bird you need to consider the possible vet expenses that may be required with this type of pet. If your bird gets sick and needs medicine or requires certain supplements you will need to take them to the vet, and cover these expenses.